Volunteer Profile: Diane Muska | Cover Story | Style Weekly - Richmond, VA local news, arts, and events. 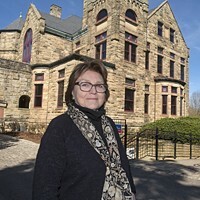 If you've spent time in the Folklife Area, you may recognize her. Diane Muska has been volunteering since the National Folk Festival came to Richmond in 2005. She had just moved back to Richmond from Florida and thought it would be a good way to meet people. It was, she says. 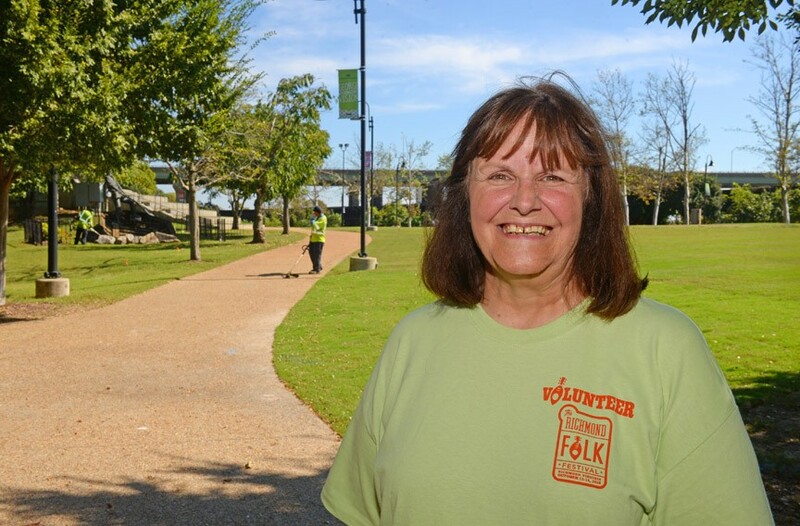 Now she's a true believer in Richmond's largest free music festival and also takes on the challenge of recruiting volunteers year-round. I started out doing bucket brigade, then different tasks. I've been a team leader in Folk Life for 10 years now. I'm probably in charge of about 40 people over the weekend, basically who are doing hospitality. Making sure the booths have water, or if someone needs to sit with someone's stuff while they perform. Have you ever been awestruck by a performer? The Danza de los Voladores from Mexico, who were up on the pole flying around in the air, that was amazing. That was really cool. What do you tell people who are interested in volunteering? We always tell them they're giving back to the community. They get free parking, a free T-shirt, a discount on logo merchandise, and they're invited to the private party on Saturday night with the performers. So that's a big draw [laughs]. 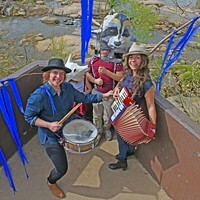 What jumps out about this year's Folklife Area? It's more international this year. It's people from foreign countries who have moved here to Virginia and become part of our life here: A musical performer from Persia. A Cambodian who is hand-beading costumes. Then we have traditional stuff — a guy who does heirloom apples, shows how to graft them. What are the biggest challenges every year? Most of the year we're working on recruiting volunteers. We do a lot of social media posting and we've gone to VCU Globe, their international study group. This year, they're giving the students volunteer credit toward a Peace Corps certification. What keeps bringing you back as a volunteer leader? I really like the variety of performers. In Folklife we always have the oyster shucking contest with the two ladies from Northern Neck — that's always fun. Seeing the traditional crafts is always fun. But the festival just keeps getting better every year. The diehards come no matter what, even if the weather is bad. Basically, if it wasn't fun, I wouldn't keep doing it.